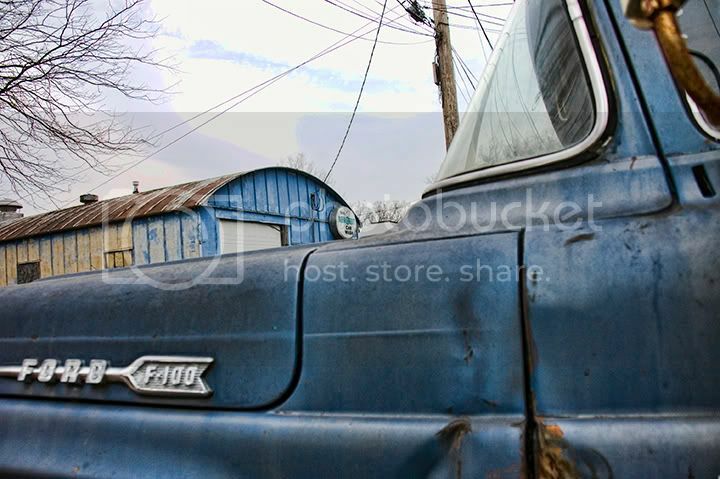 In an alley in Sterling IL, the city where my father-in-law lives, he and I found this well broken-in F100. Sterling is most positively a working-class place. 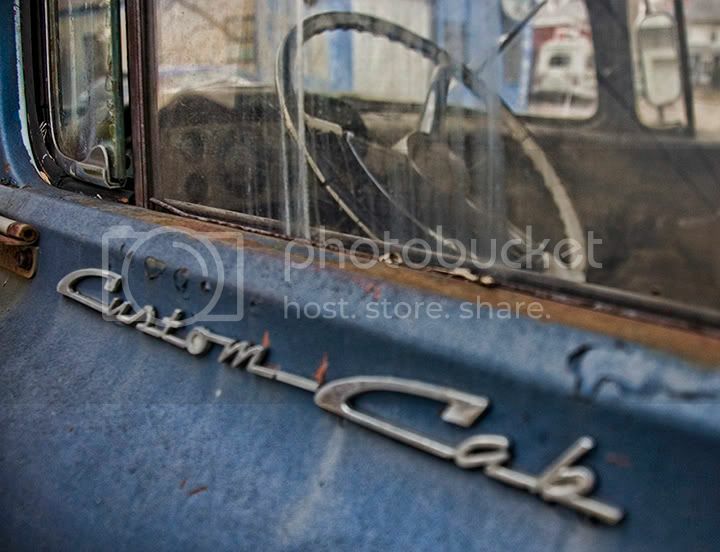 The heart of the city was Northwestern Steel and Wire, hard on the bank of the Rock River. The mill, as the residents call it, closed some ten or fifteen years ago, but several long-time manufactures of hardware are still making screws and nails, door hinges and wire springs. You can likely find Sterling nails on the shelf of your local hardware. Surrounded by corn and soybean fields, whether you live in town or out, hard work is a fact of life here. 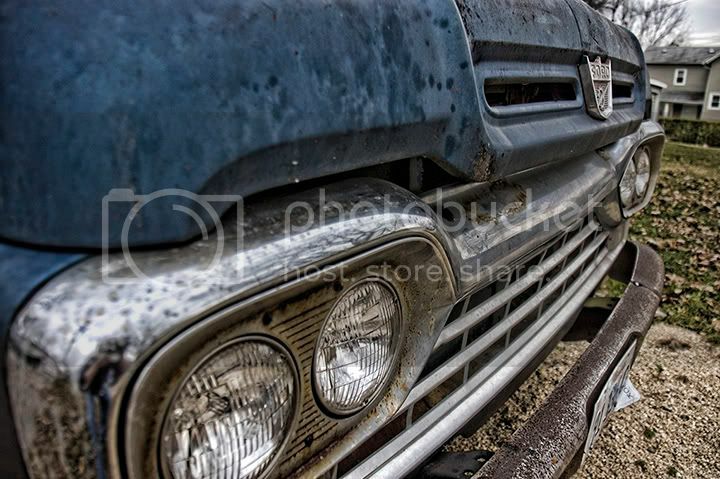 The design of this truck is really from the late fifties, and carries such hallmarks as the radically curved windshield and heavy chrome bumpers. 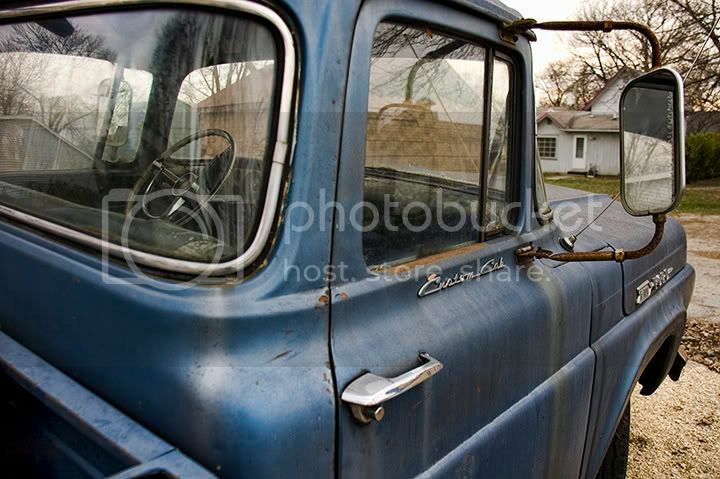 But what I really love about the truck is the condition of the original paint, having faded to denim blue and streaked with surface rust. 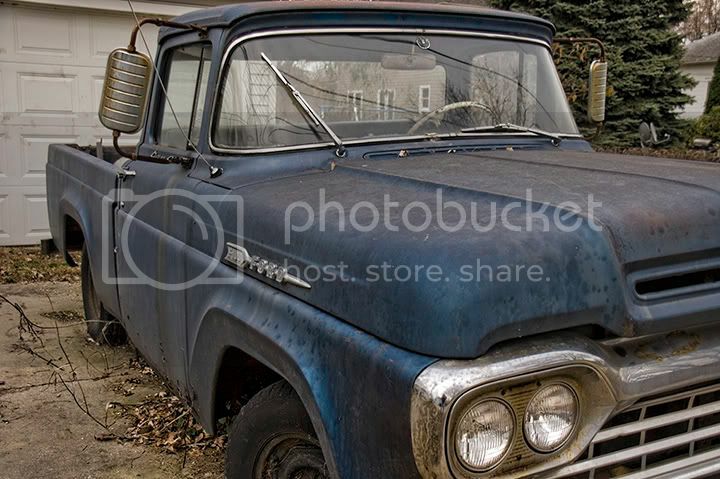 This nearly-fifty year old pickup is a fine example of a well-worn tool. It’s great to see it’s still doing what it was designed for - hard work. Labels: "1960 Ford pickup truck", "1960 Ford pickup", "1960 Ford", "Ford F100", "Ford F150", "Ford pickup truck", "Ford pickup", "Jeff Blackwell", "Jeffery Blackwell"